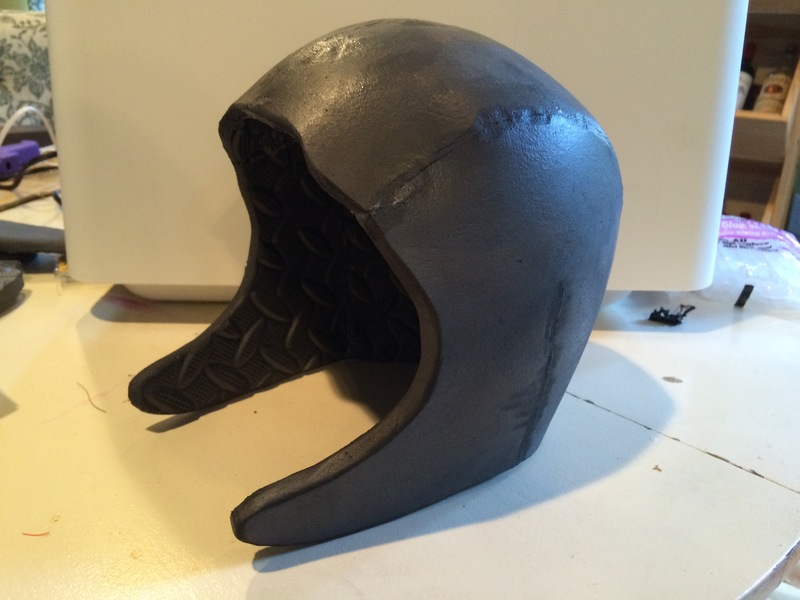 Side Project: Honey Lemon Helmet | Becoming Star-Lord. So, I took a small break this week from working on the Star Lord costume to help another racer with their super hero outfit. 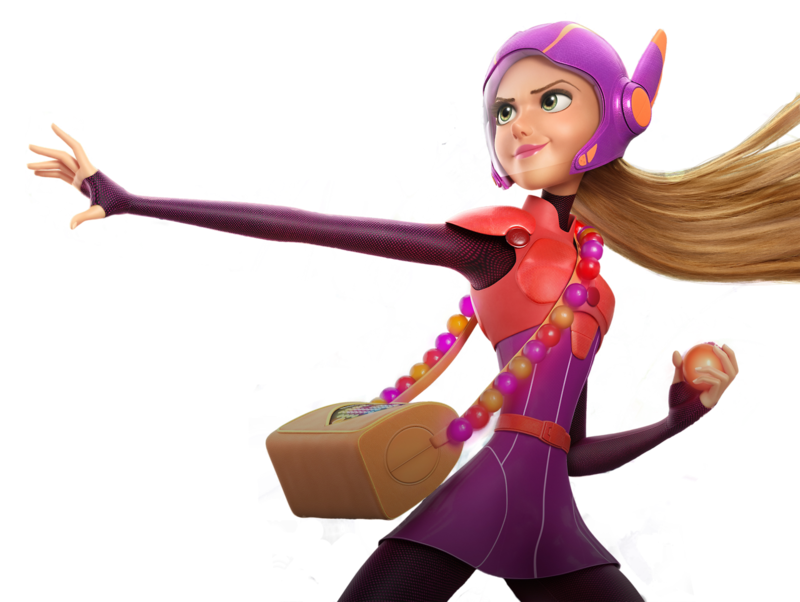 The costume was Honey Lemon from Big Hero 6. 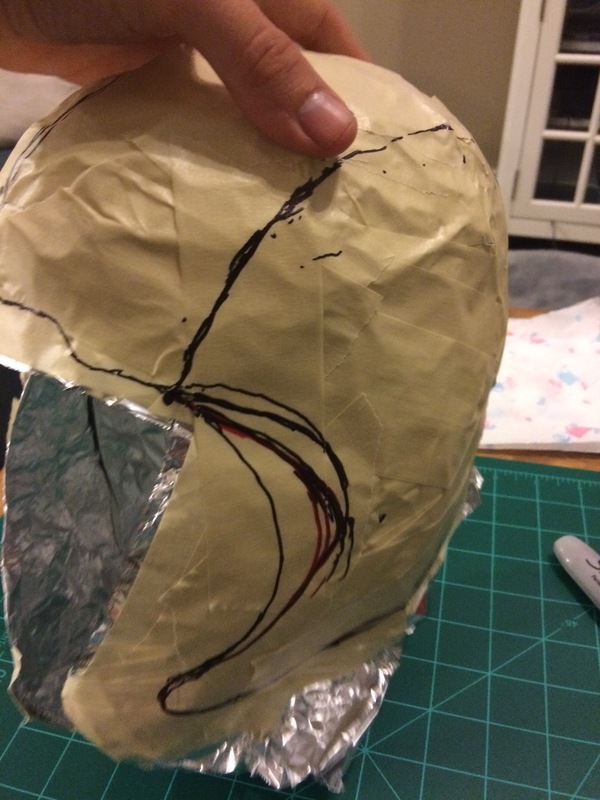 My first task was making the helmet. To do this, I decided to use EVA foam. There are tons of tutorials and videos showing how to craft EVA foam costumes so, after studying up, I got to work. At this point, I referenced a particularly helpful Youtube video to transfer the pattern to the foam. I watched it about 30 times. The guy’s accent is awesome. 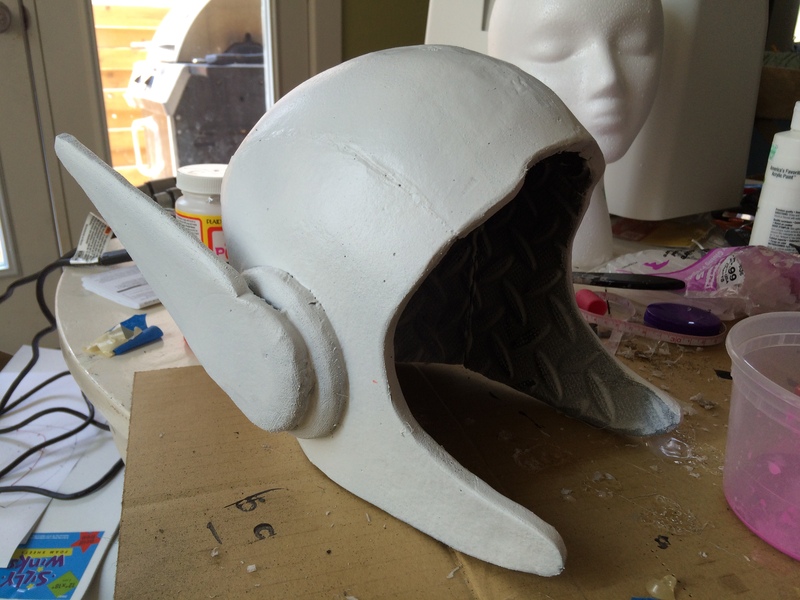 Here is the base helmet before accent pieces and paint. I used a few more foam pieces to make the wings. I used a dremel to shape the pieces. I then applied a couple layers of Mod Podge followed by multiple layers of Plastidip to reinforce the helmet and seal the foam. Plastip seals the foam and provides a good base for the paint. I painted it afterwards with multiple layers of watered down acrylic paint. We went with a shade that was a little more “pink” than the original. The color is more pink than the original. Then, I used thinner craft foam from Hobby Lobby to make some of the accent pieces. 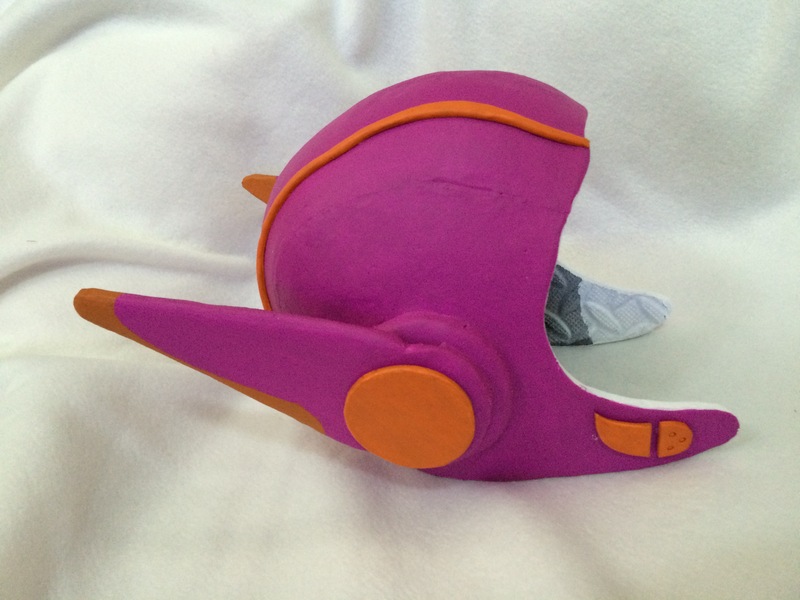 I painted the craft foam orange before attaching them to the helmet. The race is less than two weeks away! Thanks to those who have already donated! 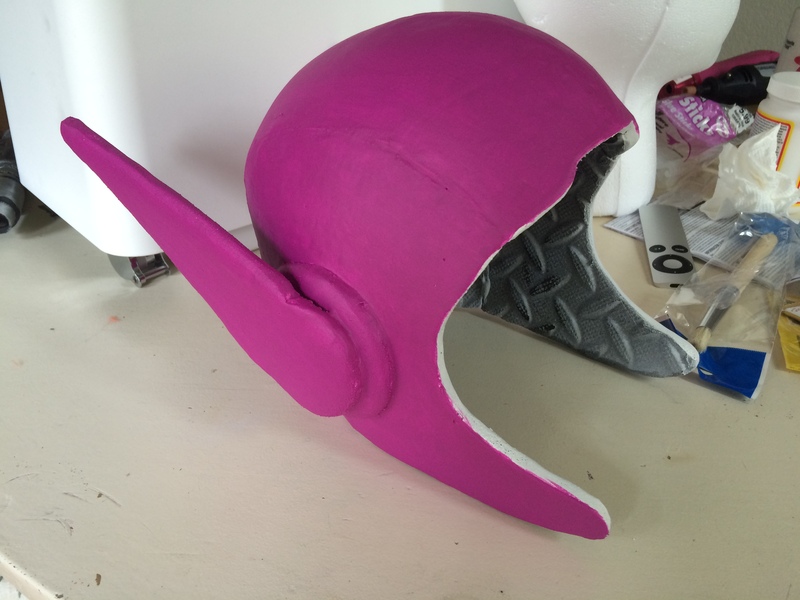 This entry was posted in Props and tagged big hero 6, charity, cosplay, costume, disney, eva foam, helmet, honey lemon, Kids, props on September 1, 2015 by Liam.